My aunt came home from Mexico with these little gifts. 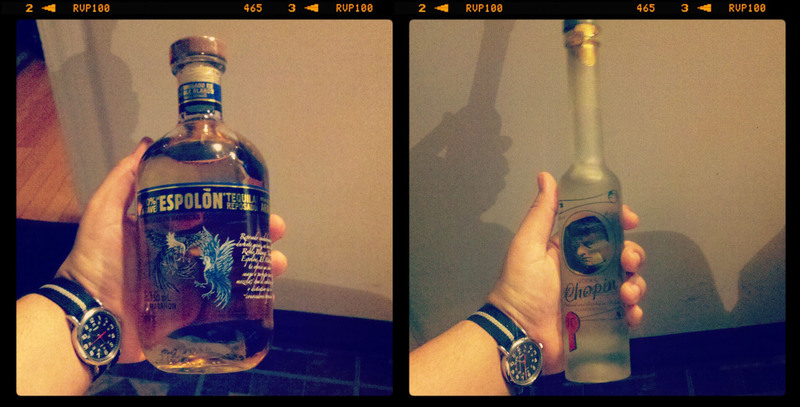 Usually I get a new messenger bag or aOne is a a tequila Espolón and the other is Chopin vodka. Both are widely available here, but the bottles are unique. The design on the Espolón of two roosters fighting each other is very different from the American version,which features Dias de los Muertos figures riding said roosters (it doesn’t make sense). I think I prefer the more minimalist design. It has an elegance to it that is lost to the American version (seriously, its over the top). I don’t necessarily mind the American artwork (maybe a little), but once I took a look at this one there was no question that the Mexican version is better. 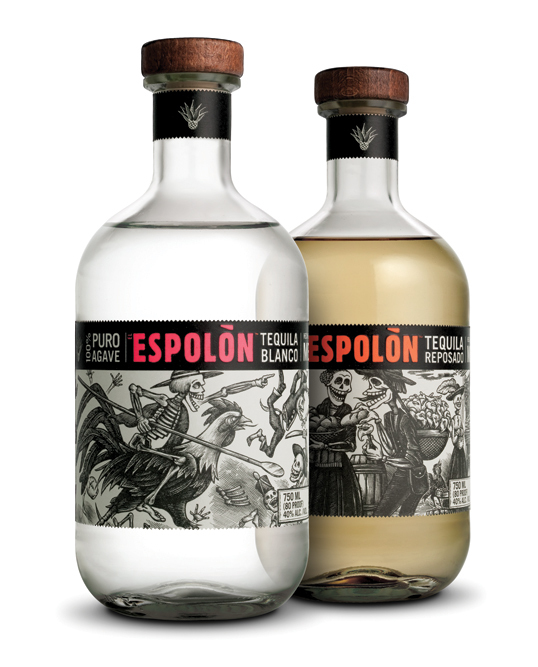 I was hoping I would get one of the bottles of Espolón that is only available in Mexico, but this is still very cool. The Chopin bottle is something I’ve never seen before. The design looks really old, like something you would see in the seventies. However, the bottling is clearly from 1998. Its really strange. It has all the components of a typical Chopin bottle, like the image of Chopin in the back of the bottle and the frosted bottle. I’ve been doing my best to find out why it looks the way it does, but I’ve had no luck. Maybe its unique to Mexico like the Espolón bottle. I’ve not tried Espolón before, but I am a fan of Chopin vodka. It is considered as one of the best in the market. Its a nice oily potato vodka, I highly recommend it. 01 May	This entry was published on May 1, 2012 at 8:08 pm. It’s filed under art and design, food and drink, personal and tagged espolon, mexico, tequila, vodka. Bookmark the permalink. Follow any comments here with the RSS feed for this post.